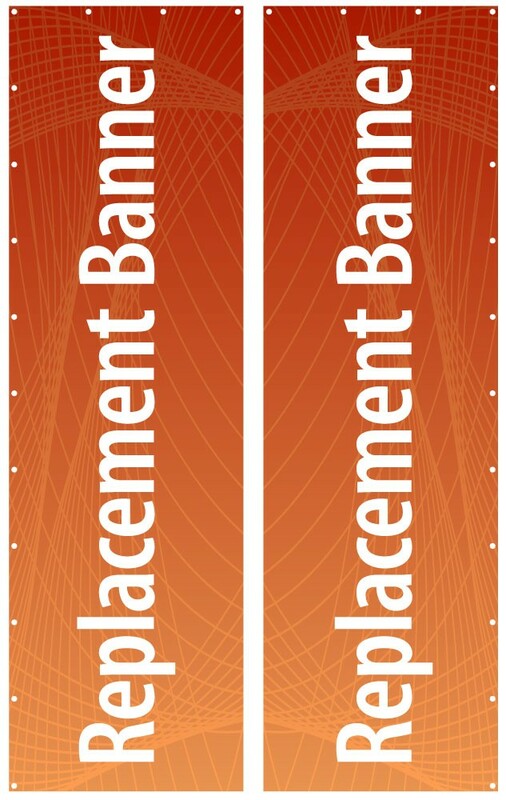 This 43" x 144" replacement banner for outdoor banner stands is finished with #2 grommets along the top and down one side. 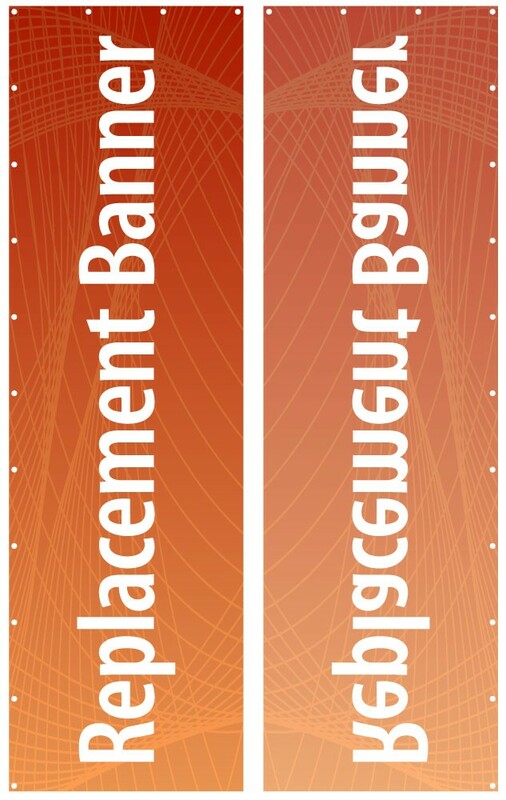 This replacement banner is designed for use in outdoor banner stands that hold a 43" wide by 144" tall banner. This includes the Wind Dancer outdoor banner stand when adjusted to the appropriate size. The banner can be double sided or single sided on fabric with the image showing through to the back side, and is finished with grommets along the top and down one side for attachment to the banner pole.